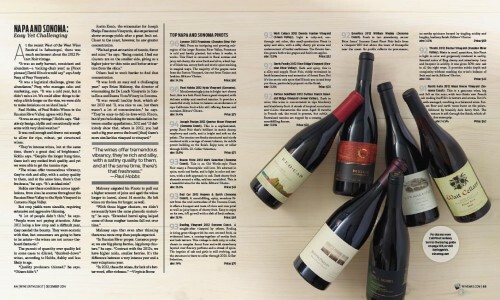 Our 2012 Green Valley Pinot Noir gets a nice mention and excellent rating (93) in December’s Wine Enthusiast magazine, as one of twelve Pinot Noirs selected for their top 2012 Pinot Noirs from Napa & Sonoma counties. Join our wine club and see for yourself! You’ll also like our old school pricing, evident when compared against the rest of the wines in this article! Come to our Holiday Party December 4th!